I’ve started a new Acrylic Painting. The color palette is completely different for me, as is the content. I generally don’t like “pretty” pictures. I’m not saying there’s anything wrong with pretty art, I’m just not drawn to creating it. So, having said that, I think this painting might end up being REALLY pretty, and I’m diggin’ it. I did this background, and then LOVED it so much, I was stumped as to what to put on it, without losing the background altogether. I’ve been playing around with ways of getting images onto the canvas. I can draw, but I always think that there must be some better, faster way of acquiring the image. I’m ALWAYS wrong… For these birds and flowers, I separated 3-ply napkins, and traced the flowers and bird onto a single ply with an indelible ink pen. This took me forever, and honestly, I could’ve just drawn the image right onto the canvas. BUT, the one good thing about this technique was that I could move the individual pieces around until I got a composition that I loved. OK, and also I got to use my amazing Light Box………Anyway, so far so good. 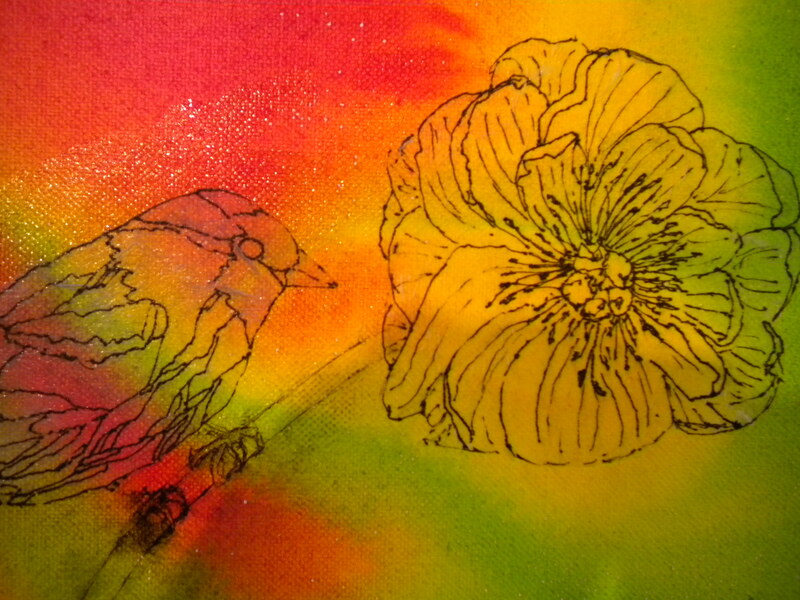 For the bird and the Poppy-type flower, I carefully trimmed the image, and it looks great on the canvas. For the flowers in the bottom left, I just tore the excess tissue away – I’m not sure what this is going to look like as I continue with this picture. When I took the photo, the matte medium was still really wet. 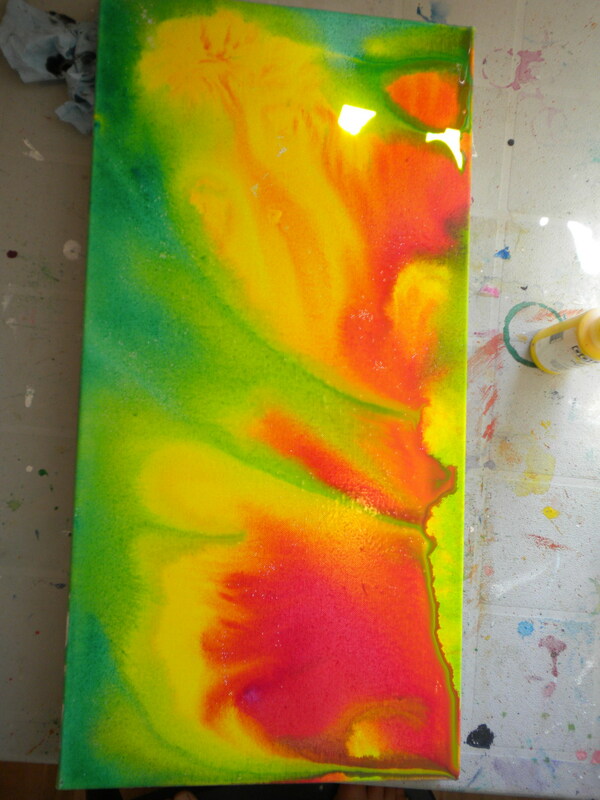 Maybe the excess tissue will disappear once the medium dries….we’ll see. 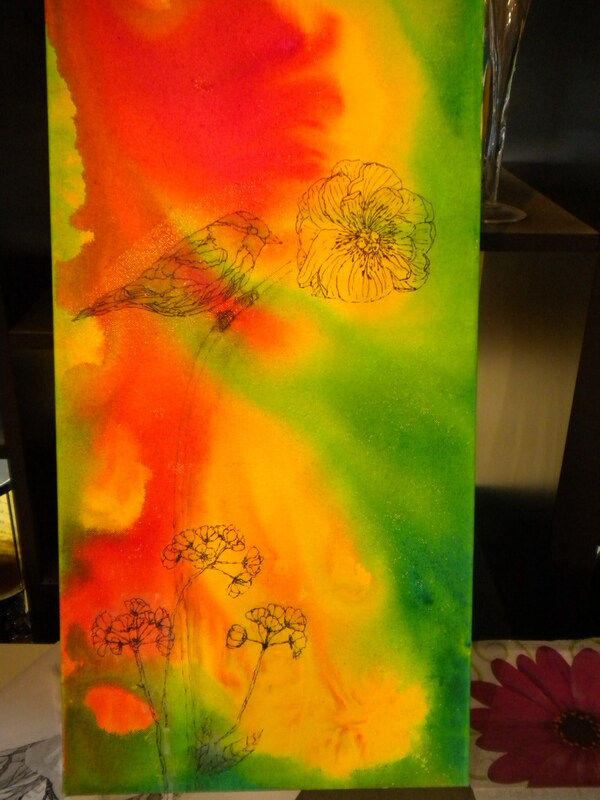 I’ll be doing the poppy Hot Pink, I think, and the smaller flowers White. Feel free to make color suggestions. 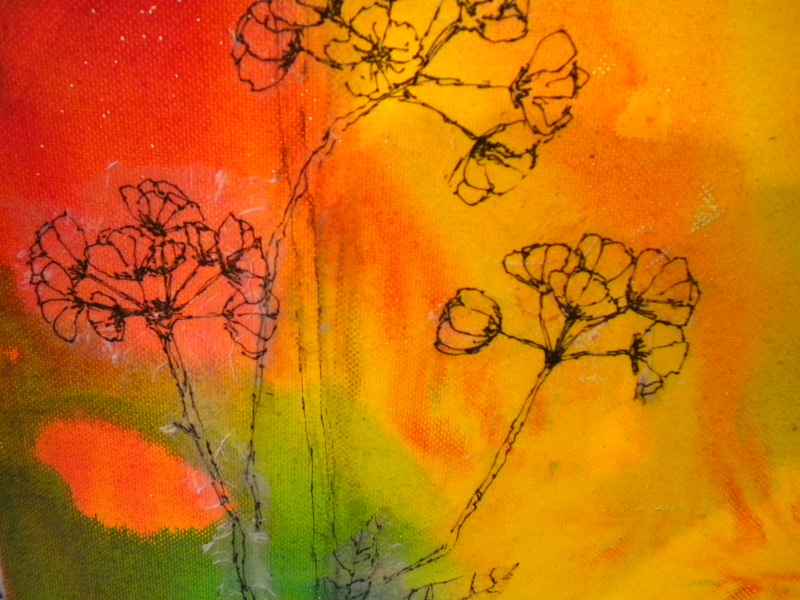 This entry was posted in Acrylics, Birds, Image Transfer. Bookmark the permalink. Glad I went back and had a second look…explains the technique quite well. Were you pleased when all was done? Oh yeah, REALLY pleased with the piece. I wouldn’t have sold it if it made me cringe in any way.